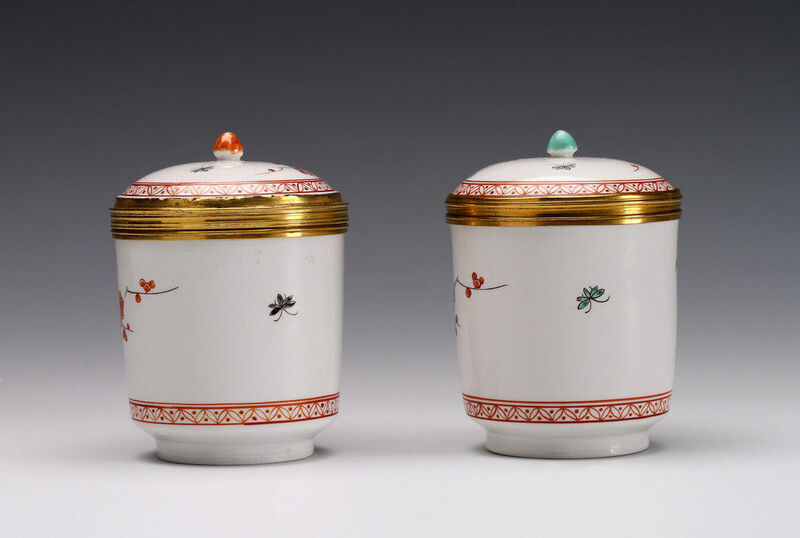 Both with hunting horn marks in iron-red to the bases. 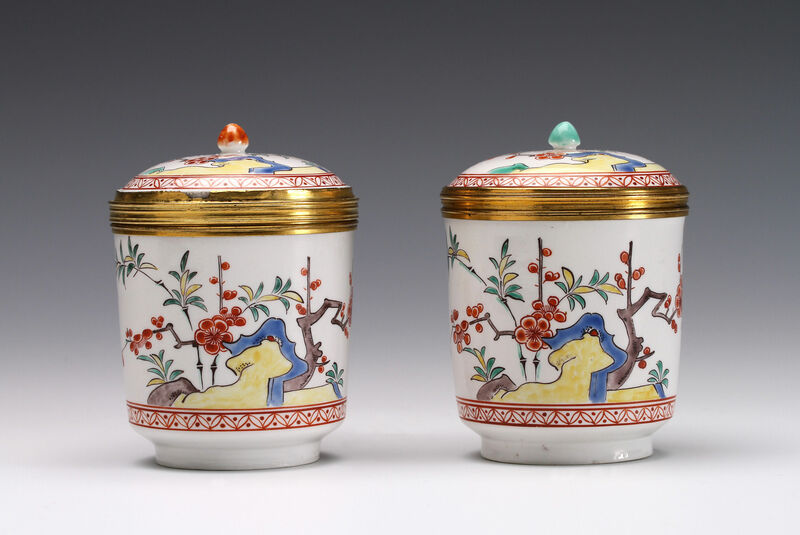 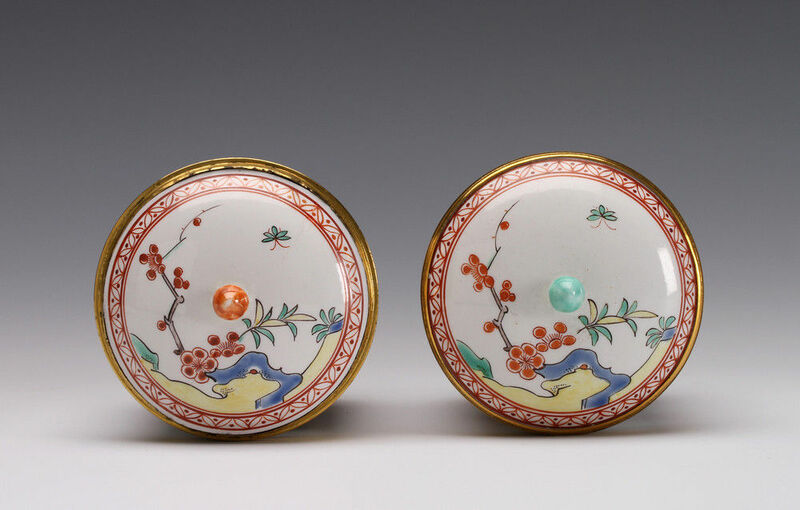 These are decorated with the particularly vibrant Kakiemon style enamels that are associated with the earliest phase of the factory. 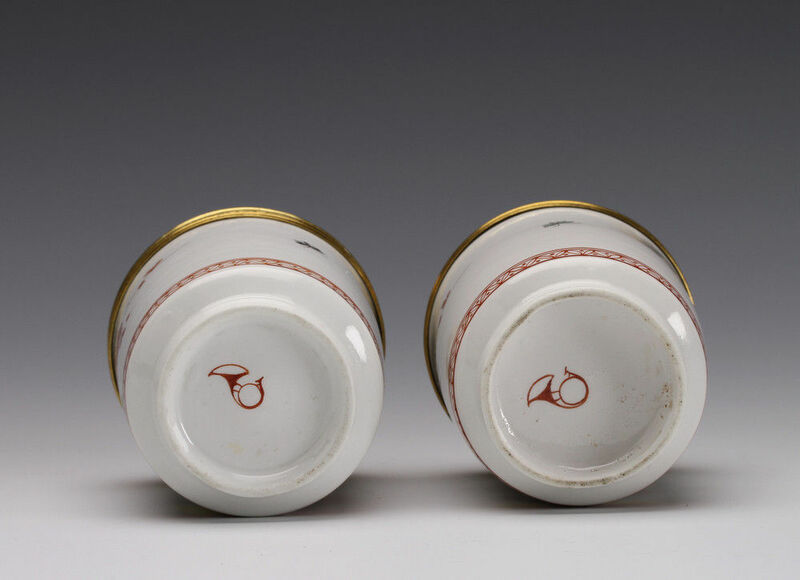 Condition – One cover neatly broken across and re-stuck, small area of damage to gilt-metal rim of one pot.